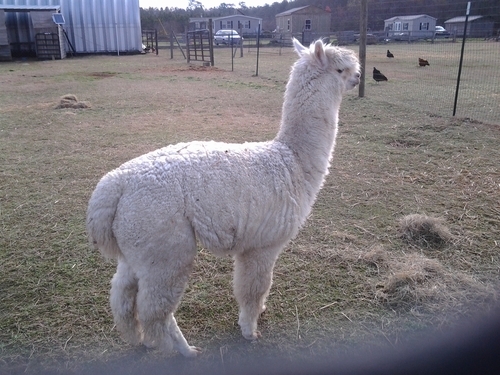 2010 AFD 17.3, SD 4.0, CofV 22.8, %>30 micron 1.4% Random cria sample @2 weeks of age. Put your hands on this male and you will know what this industry is breeding for! Crimpy from topknot to tail! Sophie is everything a foundation female should be. Her conformation and bite are on the mark. Sophie's fiber is fine, dense, exhibits nice architecture, and has great brightness. She is very typey to a full Peruvian, 5/8 Accoyo female. She has extreme leg coverage and a full topknot. Her fleece is the first colored blanket handspinners choose. 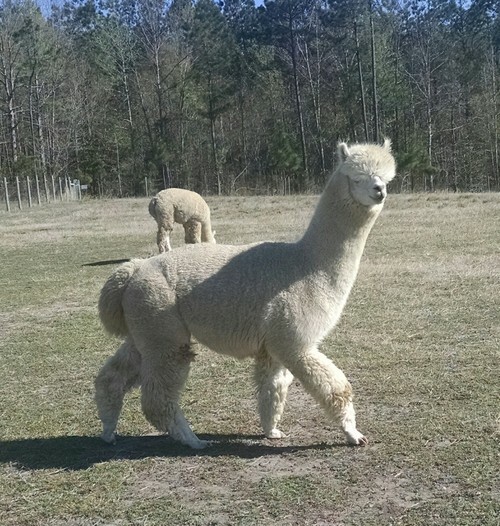 This beautiful boy is the product of a Celestine Ridge Alpacas breeding decision. Munay is the Quechua word for unconditional, eternal, unreasoned love. It is an attitude of respect and appreciation of everyone and everything, values of our farm. 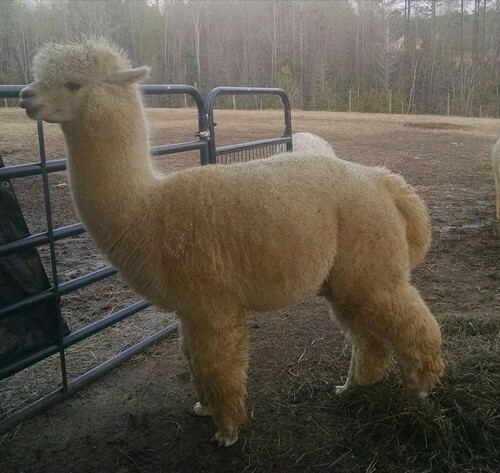 He not only shines in personality, his fleece shines also. Munay is a graceful, proud, kingly macho. Munay's density and fineness are very noticeable as is a consistent lock structure. He has a more than adequate staple length is a heavy fleece producer and excellent conformation. 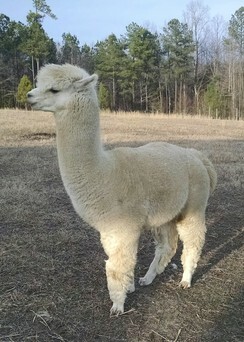 His qualities earned him a coveted place as a herdsire on our farm where he has sired three gorgeous female crias--three for three! His first cria has a fleece that is virtually identical in density and character to his--she is already a heavy fleece producer! And she has won some nice ribbons, too, a tribute to him since her looks are so identical to him. 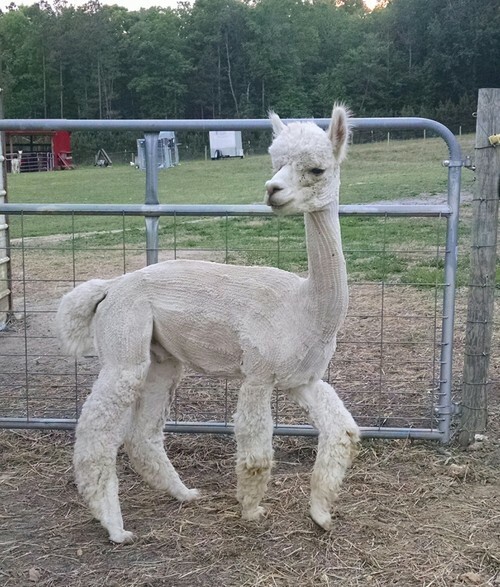 This year's cria-- another girl--is every bit as dense and he has once again demonstrated an ability to pass along his density, luster and handle. 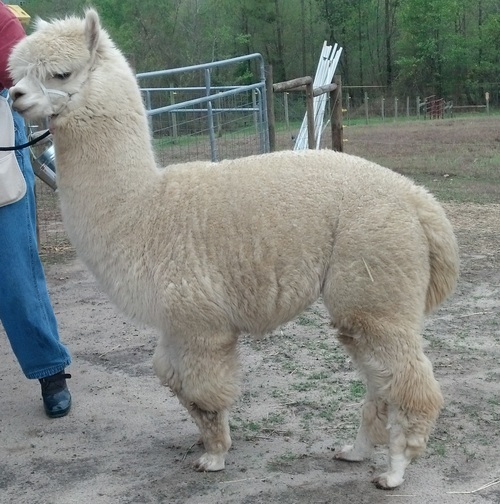 His 2011 fleece sold immediately upon entering the door at the Carolina FiberFest and his fleece is usually spoken for prior to shearing. If I manage to keep a fleece, the roving made from it and yarn yield is phenomenal. At six years old he is still winning first place. I love this boy and while I am not really anxious to sell him, I would encourage you to consider a breeding. Call or email for more information.